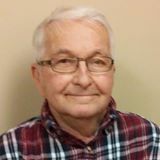 Duane L. Ring, age 79 of Graysville, Ohio passed away Thursday, July 19, 2018 at Marietta Memorial Hospital. He was born in Graysville, Ohio December 18, 1938 a son of the late Clifford L. Ring and Opal Francis Williams Ring. He was a retired foreman from the PPG Natrium Plant in New Martinsville, West Virginia. He is preceded in death by two sisters; Maxine Piatt and Wanda Devore. He is survived by his wife of 60 years, Ruby Selmon Ring; daughters; Debra K. Weddle (Jerry) of Woodsfield, Ohio, Vicki Gunther (John) of Cuyahoga Falls, Ohio and son; Randal Duane Ring (Jackie) of Jacobsburg, Ohio and several grandchildren; Joshua Semon (Felicia) of Brownsville, Ohio, Benjamin Semon (Denise) of Sardis, Ohio, Heath Cooper (Amy) of Cuyahoga Falls, Ohio, Sarah Weckbacher (Ryan) of Stafford, Ohio, Brandon Ring (Dimitra) of St. Clairsville, Ohio, Landon Ring of Beallsville, Ohio, Randi Ring of Beallsville, Ohio, three great-grandchildren Laira Weckbacher, Deegan Weckbacher, Harper Semon, and two brothers; Dwight (Darleen) Ring of Graysville, Ohio and Larry Ring of Virginia. Friends will be received from 2 – 8 p.m. Sunday, July 22, 2018 at Bauer-Turner Funeral Home, 100 S. Paul Street, Woodsfield, Ohio where services will be held at 1:00 p.m. Monday, July 23, 2018 with Reverend Michael Eskridge and Travis Williams officiating. Burial will follow in the Oaklawn Cemetery.